Attractive Exterior - UV-Protected to help prevent fading and cracking. Stain resistant exterior never needs painting. High-Density Polyethylene (HDPE) Floor - Oil, stain, and Slip-Resistant floor surface does not crack, chip, or peel. High-Pitched Roof - Steep angle allows for quick drainage of rain and snow and provides a spacious walk around interior. 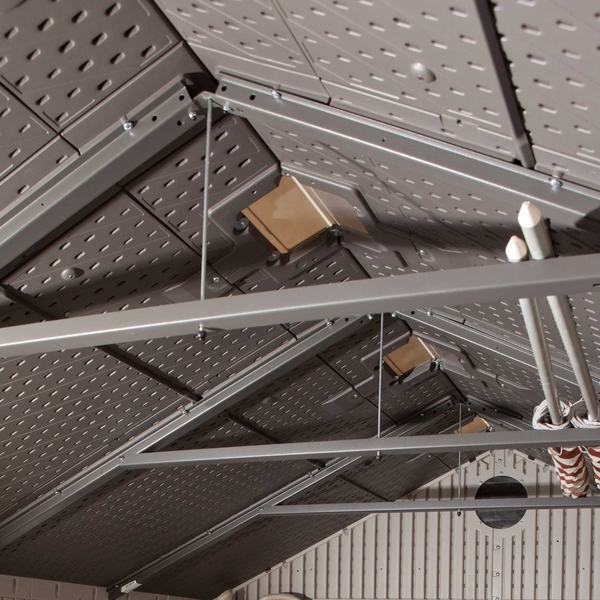 Heavy-Duty steel trusses increase strength. Lockable Doors - Steel-Reinforced doors provide an extra-large opening, sturdy structure, and exterior padlock loop. 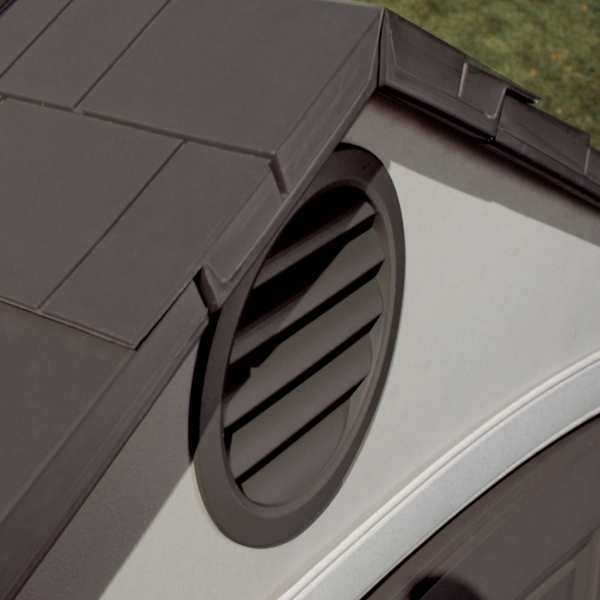 Screened Vents - Provide airflow and keep pests out. Steel-Reinforced Walls - Designed with Dual-Wall High-Density polyethylene (HDPE) panels with steel wall supports for added strength. 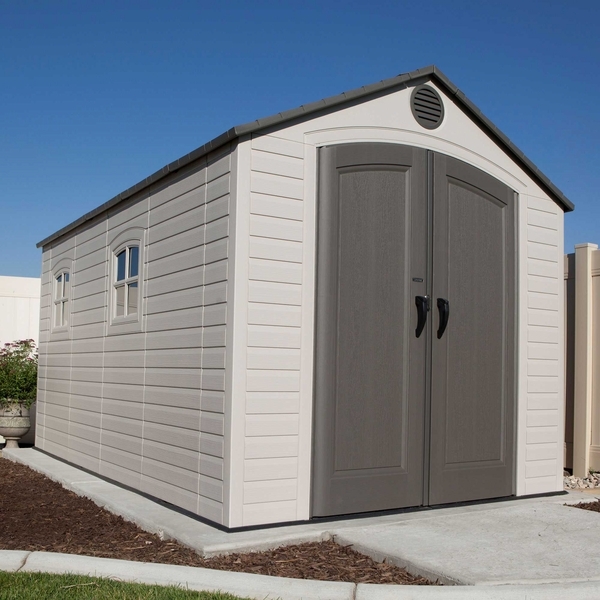 This Lifetime 8' x 10' Polyethylene Outdoor Storage Shed in Desert Sand is an attractive and durable storage option for your outdoor storage needs. Dual-Wall High-Density Polyethylene (HDPE), steel-reinforced construction, and a UV-Protected exterior will stand the test of many season changes while never needing repainting. 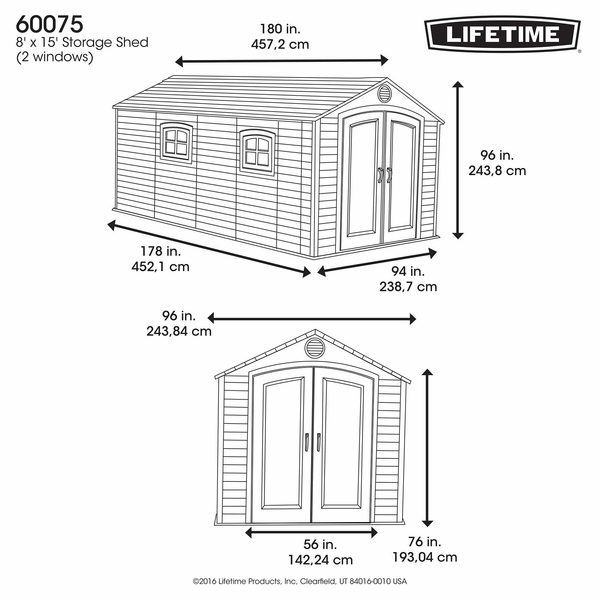 A high-pitched roof offers a steep angle for quick drainage of rain and snow and provides spacious headroom as you walk around inside the shed. 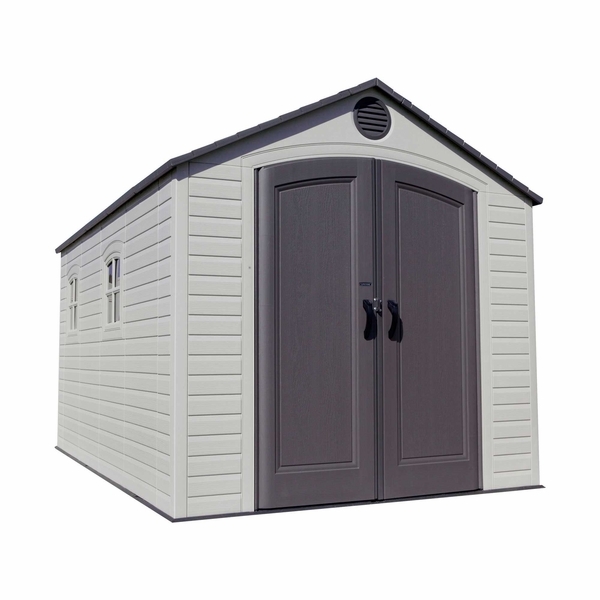 Steel-reinforced doors provide an extra-large opening, sturdy structure and have an exterior padlock loop allowing you to lock up your new shed. 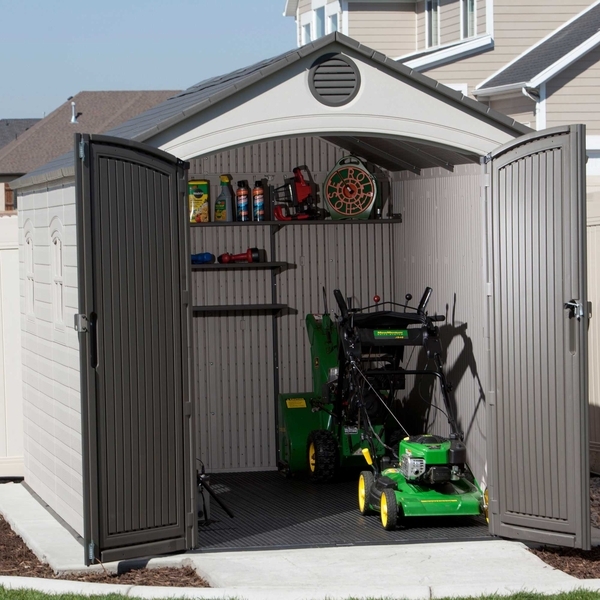 This Shed comes with a 90 in. W x 9 in. D Rear Shelf.